Come visit one of our favorite venues, visit with all sorts of amazing vendors, and eat lots of good food!!! Pumpernickel Pickle will be at the Patrick Henry for this years annual Roanoke Wedding Crawl! Pumpernickel Pickle is excited to be a part of Lynchburg Wedding Week! Please visit www.lynchburgweddingweek.com for more information! 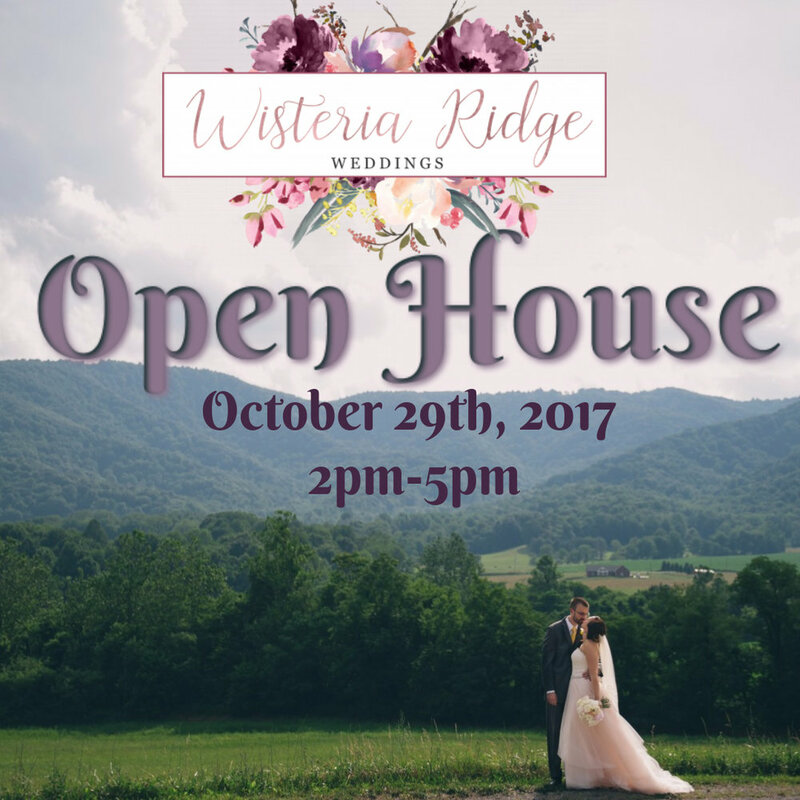 Please join us at Wisteria Ridge for a beautiful fall afternoon in the country. Delicious food and drink will be provided by Pumpernickel Pickle! We hope to see you there! We are proud to have been awarded Platinum Wedding Caterer for the second year! Thanks for all the support! Photo shoots are all about vendors collaborating and pooling together resources to show off ideas so that we can inspire others. This photo shoot was came from the imagination of Sarah Holland , who absolutely loves every single nook and cranny of Diamond V Farms. She used the entire farm grounds as a playground to catch it's natural beauty. Here we showcase some of our fun embellishments. We have used our gold bar cart as a cake display, setting the cakes atop some pillar candles. Vintage china is the perfect detail for a vintage yet classic feel. Our mirror and settee have also been showcased. For food, we envisioned classic garden fete fare for cocktail hour with a cucumber tea sandwich and a tomato basil crostini. Take a look and check out this wonderful team of vendors! This colorful creative collaboration celebrates those with a passion for the quirky and eccentric. If you find yourself dancing to the beat of your own drum, chances are you will love some of the ideas featured here. We took party foods and sized them down and paired them with mini drinks. Miniature s'mores are displayed on dipped marshmallow pedestals, a perfect way to add a punch of color! Calligraphy – Suzy Q Etc.